You can measure the strength of a man by measuring what it takes to stop him. Thomas Edison always viewed failure as being one step closer to success. 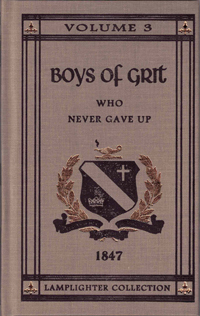 The eighteen men whose lives are put on display in Boys of Grit Who Never Gave Up did not let failures stop their pursuit of success and excellence. Learn about the determination needed to invent the phonograph or the persistence required to bring the modern telephone and the automotive assembly line into existence. The Wright Brothers, D. L. Moody, and Louis Pasteur are just a few of the names that will inspire young people to attempt great things and to see failure as a stepping stone to success. From Janice Robinson of Neosho, Missouri on 3/17/2017 . From Timothy of Goodland, Kansas on 4/16/2015 . 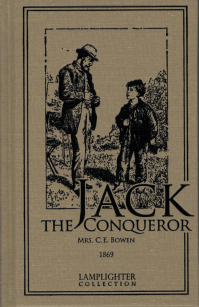 We purchased this book to give our boys (9 and 11) some literature of substance. While most of their selections are generally good, they had been reading several "Diary of a Wimpy Kid" books. I am of the opinion that such books, while culturally relevant and entertaining to young minds, are an absolute waste of time and effort. This series is exactly what we were looking for, in that they are the antithesis of the aforementioned sub-standard literature, and because the central themes are about virtue, determination, endurance, focus, and intention. 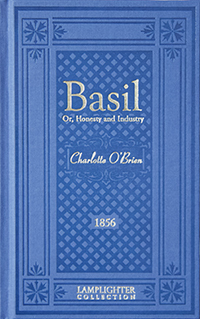 The book is also a good supplement to enhance an adult's knowledge of historically significant personalities. A well-written book. From Anonymous of St Croix Falls, Wisconsin on 9/27/2013 .